Patrolman Donndelinger succumbed to gunshot wounds sustained five days earlier following a short pursuit. He and his partner had stopped a vehicle for running a red light. Unbeknownst to the officers the suspect had just participated in the burglary of a local Sears and Roebuck Store. His partner rode with the traffic violator as they drove back to the police station, with Patrolman Donndelinger following behind. The suspect suddenly produced a gun, disarmed his partner, and sped away in an attempt to make it to the state line. As Patrolman Donndelinger followed, the suspect vehicle slid into a ditch. Patrolman Donndelinger and the suspect exchanged shots and both were shot multiple times. Patrolman Donndelinger's partner jumped on the suspect's back, disarmed him, and took him into custody. 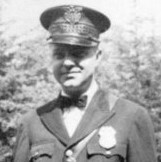 Patrolman Donndelinger died of his wounds five days later. 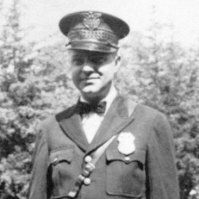 The suspect was convicted of first degree murder and sentenced to life in prison April 22, 1938. On October 12, 1947, his sentence was reduced to 14 to 25 years. He was paroled in 1948. Patrolman Donndelinger, who served with the La Crosse Police Department for seven years, was survived by his wife and four children. Officer Donndelinger, thank you for your honor, service and sacrifice. You would be so proud to see the amazing person your granddaughter, my friend Laura, has grown up to be! You legacy continues. Rest well sir.